Using the Unified Extensible Firmware Interface (UEFI) can make your PC more secure and a bit faster if you're still using the legacy basic input/output system (BIOS). 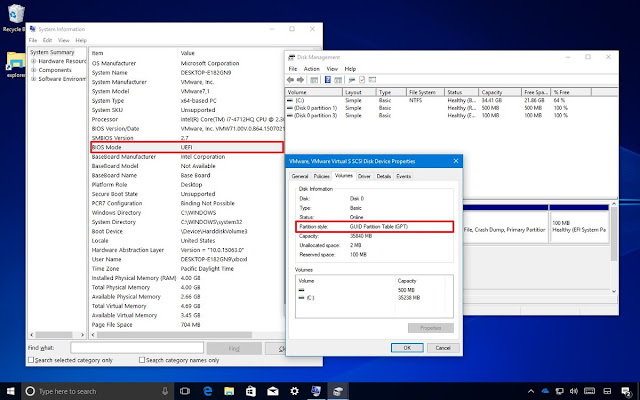 Windows 10 makes it easier to switch from legacy BIOS to UEFI using the new MBR2GPT disk conversion tool included with the Creators Update. This guide will show you, how to switch from BIOS to UEFI and convert MBR disk to GPT without any data loss. Previously, you needed to back up your data, repartition the disk using GPT, reinstall the OS, and then restore the data. 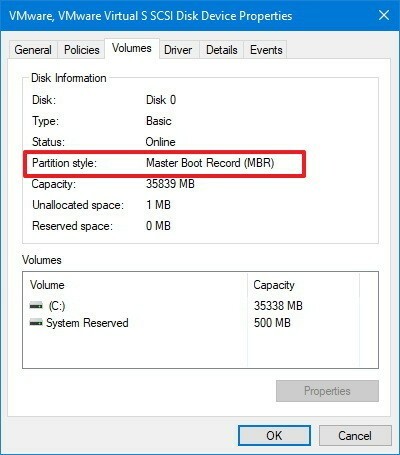 In the Creators Update, Windows 10 introduces a new command-line utility called MBR2GPT that lets you convert a disk formatted using Master Boot Record (MBR) to GUID Partition Table (GPT)-style partition without modifying or deleting that data stored on disk, which is a requirement to move to UEFI mode. 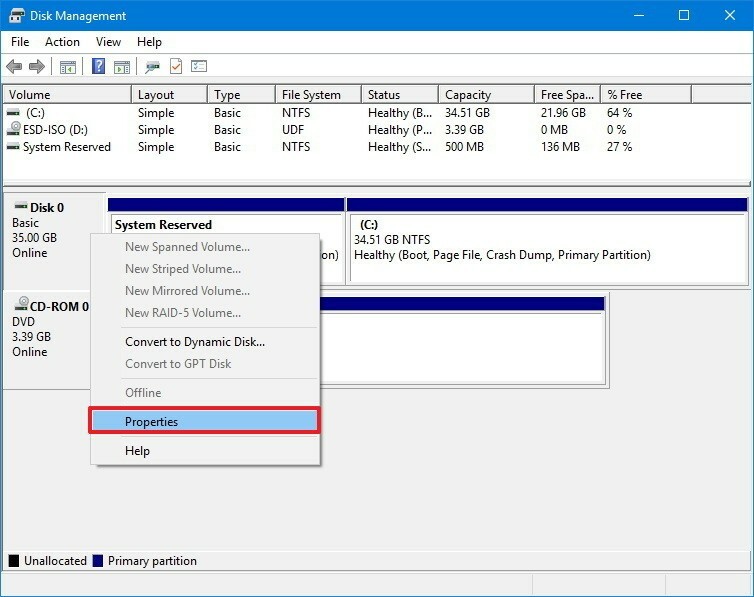 First, you need to convert the disk using MBR to GPT-style partition, which is the main requirement to run Windows 10 in UEFI mode. Secondly, you must change your motherboard firmware settings to make the switch from BIOS to UEFI mode. 1. Use the Windows key + X keyboard shortcut to open the Power User menu and click on Disk Management.2. Right-click the disk with the Windows 10 installation and select Properties. 3. Click on the Volumes tab and look at "Partition style". If it reads GUID Partition Table (GPT), the disk doesn't need to be converted, but if you see the Master Boot Record (MBR) label, then you can use the conversion tool. In addition, make sure to check your PC manufacturer's support website to see if the device includes support of UEFI mode before using the conversion tool. 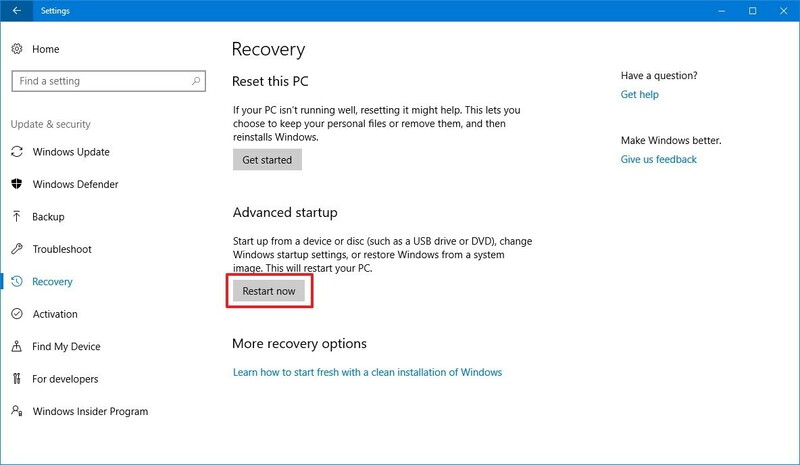 In order to convert the disk from MBR to GPT, you need to start your computer in Windows PE (Preinstallation Environment), and then do the following. Warning: Although this is a non-destructive process, you should always keep a full backup of your computer and data in case something goes wrong. 3. Click on Recovery.4. Under "Advanced startup," click the Restart now button. 6. Click on Advanced options.7. Click on Command Prompt to boot into Windows PE. 8. Click on your account and login with your credentials (if applicable). If everything checks out successfully, you can continue with the next step, but it's also possible that you'll get an error, in case the disk didn't meet the requirements. For example, if the drive was already using a GPT partition style. Quick Tip: "MBR2GPT.exe" is located inside the "System32" folder inside the "Windows" folder, and if you want to see all the available options included with this tool, you can use the mbr2gpt /? command. As you execute the commands, the tool will validate the disk. The partition will be reconfigured to include an EFI system partition (ESP) as needed. Then the UEFI boot files and GPT components will be installed in the new partition. The boot configuration data (BCD) will be updated, and finally, the drive letter is restored. The tool was designed to run in the Windows PE using Command Prompt, but it's also possible to use it when Windows 10 desktop is fully loaded. This is not recommended, though, because you may encounter some problems with other applications running on the system. In the case you want to use the tool while Windows 10 is fully loaded, you'll need to append the /allowFullOS switch after each command mentioned above. For example, you can use this command mbr2gpt /validate /allowFullOS to validate the disk. Otherwise, you won't be able to use the tool. If the conversion was applied successfully, you should see a return code of 0. If the process fails, you'll receive a different return error code. Actually, you can get eleven different return codes 1 through 10, and code 100, each one indicating a particular problem during the conversion process. 1 User canceled the conversion. 5 Error on the geometry and layout of the selected disk. 6 One or more volumes on the disk is encrypted. 7 Geometry and layout of the disk don't meet requirements. 8 Error while creating the EFI system partition. 9 Error installing boot files. 10 Error while applying GPT layout. 100 Successful conversion, but some boot configuration data didn't restore. Once you've completed the steps to switch to the GPT-style partition, it's the time to access the motherboard's firmware to change from BIOS to UEFI. Otherwise, Windows 10 won't boot. In order to do this process, you can use tools provided by your PC manufacturer, or change the settings manually in the firmware interface. This process typically requires hitting one of the function keys (F1, F2, F3, F10, or F12), the ESC, or Delete key as you boot your computer. However, these settings will vary by manufacturer, and even by model. So make sure to check your PC manufacturer support website for more specific details. After getting the access to the firmware (BIOS) interface, look for the Boot menu, and make sure to change from legacy BIOS to UEFI. Use the Windows key + X to open the Power User menu and click on Disk Management. Right-click the disk with the Windows 10 installation and select Properties. Click on the Volumes tab, and under "Partition style," it should read GUID Partition Table (GPT). In the System Information summary, you should now see that "BIOS Mode" is set to "UEFI." 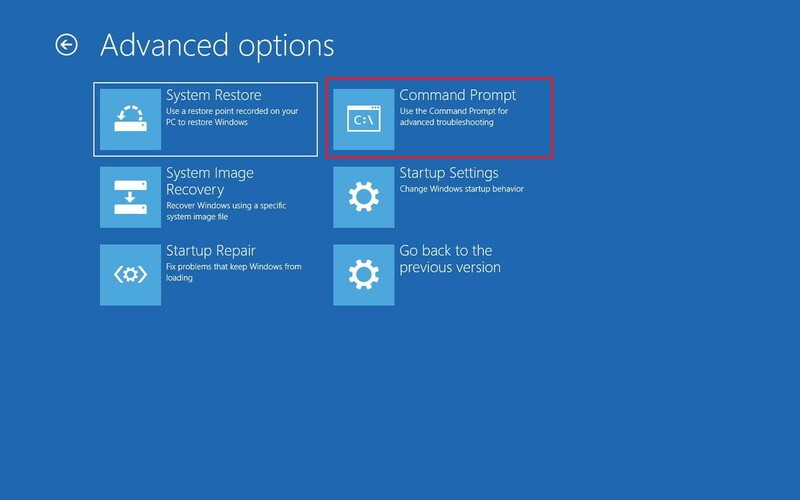 It's been possible for a long time to convert an MBR disk to GPT to switch from BIOS to UEFI, but now you can make the conversion in minutes without wasting time doing a clean install of Windows 10 and backing up your data. This tool not only comes in handy for anyone who wants to make their PCs a bit more secure and faster, but it'll also benefit organizations that want to significantly reduce time and the cost to move to a more advanced firmware.